Cocamide MEA and other cocamide ethanolamines such as cocamide DEA are used as foaming agents and nonionic surfactants in shampoos and bath products, and as emulsifying agents in cosmetics. 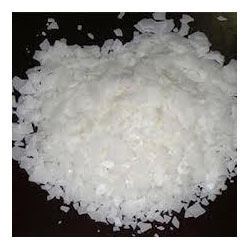 Excelling in this domain for the past 31 years, we have carved a respectable niche for ourselves as a wholesaler and supplier of varied kinds of Chemical Products. Our range is inclusive of Boric Acid, Gum Rosin, Stable Bleaching Powder, Soda Ash light, Borax and Stearic Acid. Furthermore, we offer Acid Slurry, Glue, Pine Oil, Tio2 ( Rutile, Anatase) and Paraffin Wax. These products are used for diverse purposes across the market and are in great demand among the customers. The range is known for its correct pH balance, pure composition and safe to use quality. The products are processed by leading vendors of the market, who make use of the latest technological methods to process these chemicals. They source the required raw material after due attestation from renowned auditors, which ensures that the end products retain high standards of quality. The products are packed using best possible poly bag, which protects the range against harmful effects of the outside elements. Our products are transported under the vigilance of an experienced logistics team, which guarantees timely delivery of products within the time period stipulated in the contract. All the products are in the meanwhile stored in a state-of-the-art warehousing facility that is especially equipped with sophisticated storage equipment to keep the products in a pristine state. We accept flexible modes of payment and make all deliveries by road.